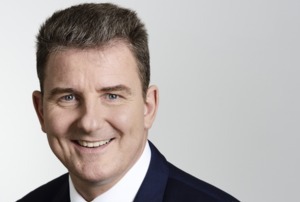 Olivier Huart is Chairman of Broadcast Network Europe (BNE), the trade organisation for Terrestrial Broadcast Network Operators for Radio and TV in Europe. BNE’s 17 members operate in 21 European countries. 250 million Europeans choose television via the digital terrestrial television (DTT) broadcasting platforms as their preferred means of media consumption. In addition, 80% of the EU population listens to radio services for 2 to 3 hours a day, mostly through broadcasting (analogue and digital). Television and radio are the most intimate, most trusted and most economically rational means to address the reality of national identities and to uphold Europe’s unique, comprehensive and virtuous model of content creation. The benefits of terrestrial broadcasting are therefore recognised in European law as an integral part of the general interest. This virtuous model results in a dispersed content production base across Europe creating high value jobs and economic growth. Our cultural, creative and media industry is indeed an essential pillar of the digital economy, generating more than 7% of European GDP, and creating 14 million jobs. Our sector is recognised as one of Europe’s top three sectors by growth and employment. But to continue being a leading employer and value driver in Europe, we deserve a strong industrial strategy that reinforces the pillars on which our industry depends. Spectrum allocation is one of these pillars. We see the Digital Single Market Strategy as a wonderful opportunity for cultural creativity and innovation to be brought to the fore. However, we are unimpressed to note that the European Commission statement of 6 May makes little reference to the work of former Commissioner Pascal Lamy and appears to overlook the connection between spectrum allocation and local creative and cultural jobs, media pluralism and diversity of content. As recognised in the Lamy report published last September, “DTT represents the backbone of the European audio-visual model”. Lamy’s report, amongst others, made explicit the need for a change of mindset from platform convergence to co-existence of mobile services and terrestrial broadcasting. We call for recognition in the Digital Single Market Strategy of the crucial role spectrum plays for terrestrial broadcasting alongside wireless and mobile broadband, and of a commitment to provide legal certainty of access on an interference-free basis to sustain terrestrial broadcasting services in Europe over the long term. These conditions are critical to preserving the European content creation model and enhancing audio-visual diversity as well as sustaining the European economy. Removing the spectrum for DTT would result in a loss of €38.5 billion to the EU economy. This ambition is shared by representatives of media and entertainment industry workers, journalists, content creators, the radio sector, public and commercial broadcasters, professional wireless event producers, devices manufacturers, viewers and listeners, united under the banner of the Wider Spectrum Group. BNE, as part of the group, calls for a fresh start for Europe’s future digital economy, based on a vision that optimises opportunities rather than drives fragmentation and conflict between sectors and players. This strategy must embrace cultural diversity and plurality of choice and be based on a commitment to enshrine fair access and support for innovation in the policy framework. To address successfully the Digital Single Market challenges, one single solution will not suffice. We are committed to being part of this fresh start. Europe’s broadcast industry has scale and continues to invest in state of the art digital infrastructure for Europe to deliver high impact and quality cultural services. For this to be sustainable over the long term we need an inclusive and balanced Digital Single Market Strategy that supports jobs and economic growth rather than one that leads to regulatory failure and destroys employment.